Armored fiber optic patch cable use stainless steel armor inside the jacket, this will help make the armored fiber patch cord resistant of high tension and pressure, it can resist the weight of an adult person, and it is not easy to break when bent or dragged. The inside armor can protect the whole cable from rodent. 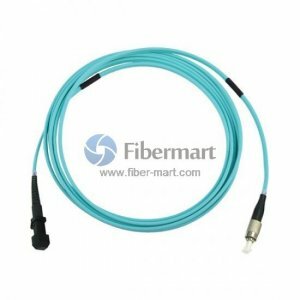 10G OM4 armored fiber optic patch cables provide 10 gigabit data transfer speeds in high bandwidth applications and they are 5 times faster than standard 50um fiber cable. Work with both VCSEL laser and LED sources. Our OM4 10G fiber optic patch cables and multi mode om3 armored fiber are 100% optically tested for maximum performance. We have all lengths and connectors available.